In the mood to have your heart broken? 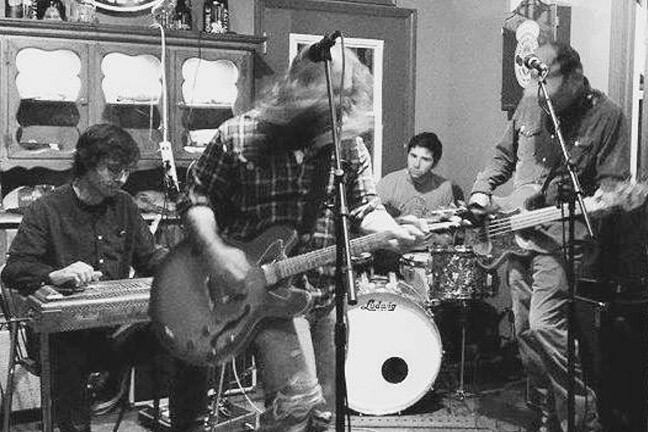 If so, plan to be at Dunbar Brewing in Santa Margarita this Saturday, Aug. 13, when North County Americana act The Creston Line releases their debut EP Great Depression (6 p.m.; 21-and-older; free). Believe me, it’s a doozy! Frontman and singer-songwriter Jon Bartel, a lecturer in Cal Poly’s English department, writes morose narrative tunes about the forgotten blue-collar side of America—the unemployed, the alcoholics, the dead-enders. Bartel’s tenor croon can manage to make an improbable rhyme out of a line like this from “Oildale”: “I wanna make a baby, drive a big Chevrolet.” It’s all in the delivery, and it works. AMERICANA HEARTACHE: The Creston Line brings their forlorn alt-country sounds to Dunbar Brewing on Aug. 13. 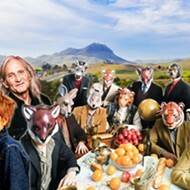 It’s terrific songwriting, and the melodies and musicianship are first rate. 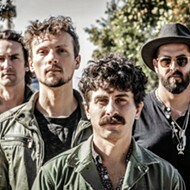 Formed in 2014, the band began as a loose collective of Bartel’s musician pals backing him on his songs—everything from folk to old country to ’90s alternative to alt-country. Bartel also flirted with a number of different band names like The Shots and The Whiskey Jacks, finally settling The Creston Line since he “grew up on the oak-forested, rattlesnake-infested outskirts of Creston,” he said. By 2015, the lineup was set with Bartel on vocals and guitar, Kirk MacLane on bass and vocals, local session player Brenneth Stevens on pedal steel and lead guitar—“sometimes attempting [to play] both simultaneously during live shows,” according to Bartel—and Alex Nash on drums. Earlier this year they added Nash’s twin brother Adam to the lineup for live shows, playing bottleneck slide. 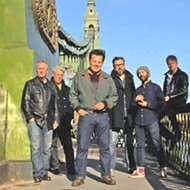 The music is right in the alt-country no depression pocket, and the band is swinging for the fences with a sound that can move from quiet and somber to a swelling cacophony of guitars and wailing vocals. The evening will feature a variety of music as Dave Wilson, The Home Wreckers, Dead Volts (acoustic), Mishka Shubaly, and Morgan Enos will open. Great Depression will be officially released on Aug. 13 on Twang N Bang Records, available through iTunes, Amazon, Bandcamp, and in physical form at shows. A follow-up LP will be recorded this fall with Twang N Bang founder Patrick Hayes in the producer chair. I can’t wait! Good Medicine Presents starts a very full music week on Thursday, Aug. 11, when with Numbskull they host Gregory Alan Isakov and the Ghost Orchestra at the Fremont Theatre (7 p.m.; all ages; $25 to $36 at ticketfly.com). 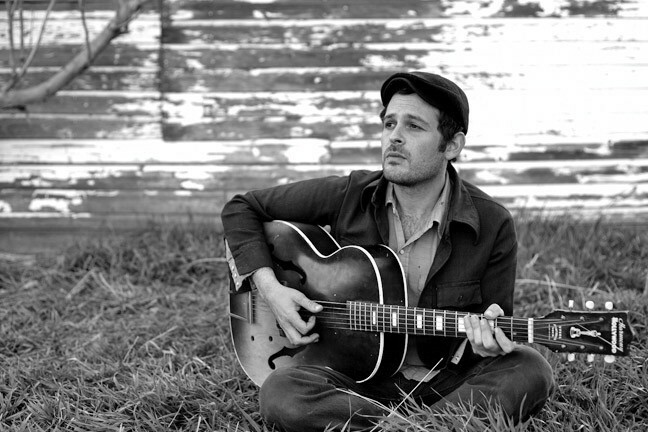 STRINGS AND SINGS : On Aug. 11, Good Medicine Presents and Numbskull host Gregory Alan Isakov and the Ghost Orchestra at the Fremont Theatre. Imagine a really talented singer-songwriter backed by a string orchestra. Yes, we’re talking about soaring melodies and heartbreakingly beautiful sounds. Born in Johannesburg, South Africa, but now living in Colorado, Isakov is a world traveler whose experiences inform his music, but on his newest album, The Weatherman, inspiration comes from closer to home. It’s recorded mostly in the solitude outside of Nederland, Colo., over the course of a year and a half. The album title reflects both his external surroundings as well as his inner experiences, and it references his use of weather as a recurring theme in his writing. 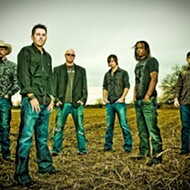 Local act The JD Project plays Opolo on Sunday, Aug. 14 (5 to 7 p.m.; free). With a great mix of covers and originals and a warm, infectious rock sound, they’re really accessible on first listen. Also on Sunday, Aug. 14, Numbskull and Good Medicine Presents bring Unwritten Law and The Ataris to Sweet Springs Saloon (7 p.m.; 21-and-older; $16 presale at ticketfly.com or $18 at the door). 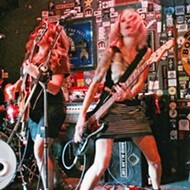 Where better than Sweet Springs to see an old-school punk show? 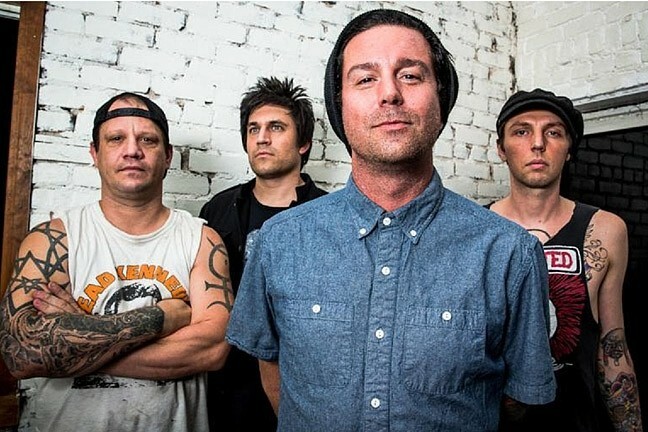 PUNKS ON PARADE : Unwritten Law (pictured) and opening act The Ataris play Sweet Sprigs Saloon on Aug. 14. So-Cal’s Unwritten Law is a Vans Warped Tour favorite formed in 1990 who’s overcome drugs, alcohol, and personal struggles by channeling their problems into great songwriting, such as on 2011’s Swan. “There was a lot of interpersonal turmoil going on with the band itself and in our personal lives when we were making this album,” guitarist Steve Morris admitted in press materials. 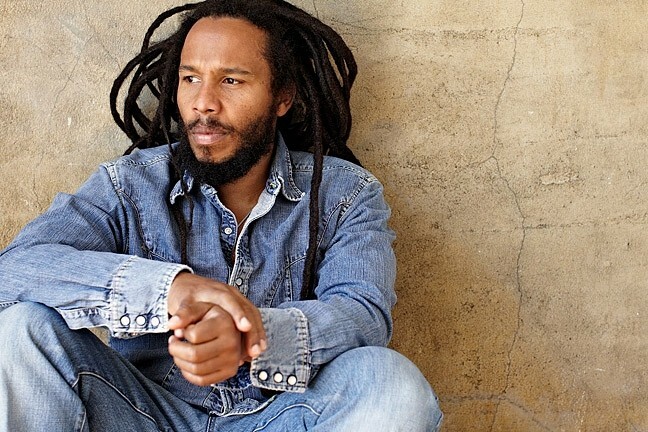 Ziggy Marley comes to Vina Robles Amphitheatre this Friday, Aug. 12 (7 p.m.; all ages; $46 to $51 at vinaroblesamphitheatre.com), with opening act Steel Pulse. If two artists needed less of an introduction than these two towers of reggae, I don’t know who they’d be. JAMAICA’S SON: Ziggy Marley brings his socially conscious reggae sounds to the Vina Robles Amphitheatre on Aug. 12. Ziggy, of course, is Bob’s eldest son, a seven-time Grammy Award winner who’s carried on his father’s legacy of creating socially conscious reggae and promoting peace and unity. Steel Pulse is perhaps Great Britain’s greatest reggae act and forceful purveyor of protest-minded music. The concert will have a general admission “pit” in front of the stage with no seating, and you must have a GA pit ticket to be in that area, where no seating will be available, so be ready to dance all night or buy yourself a seat. 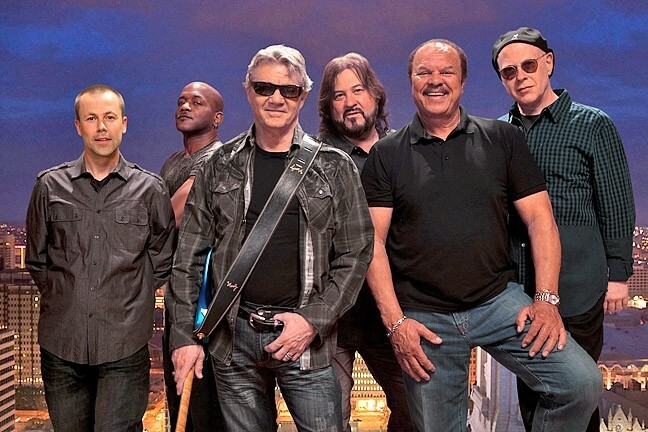 The Vina party keeps on rolling when the Steve Miller Band plays the amphitheater on Sunday, Aug. 14 (8 p.m.; all ages; $59 to $112 at vinaroblesamphitheatre.com). Peter Wolf & The Midnight Travelers open. FLY LIKE AN EAGLE: The Steve Miller Band brings their classic rock sounds to the Vina Robles Amphitheatre on Aug. 14. Once again, what can I say about Steve Miller that you don’t know? You know the songs: “The Joker,” “Livin’ in the USA,” “Take the Money and Run,” “Rock’n Me,” “Fly Like an Eagle,” “Jet Airliner,” “Jungle Love,” and “Abracadabra.” You know he was recently voted into the Rock and Roll Hall of Fame. You probably even know that his long-time bassist Kenny Lee Lewis now lives in SLO County. Hey, it’s Steve “Freaking” Miller! 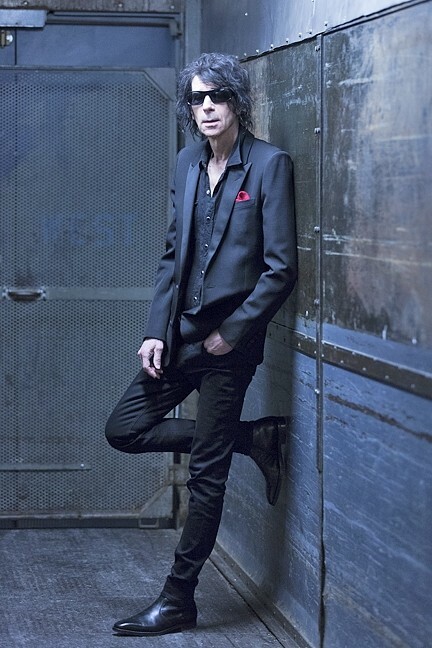 Opening act Peter Wolf is the former singer for the J. Geils Band. He’s got a great eighth solo album out, A Cure for Loneliness, with soulful ballads, Southern rock, country, boogie rock, and R&B—some recorded live. It’s a great record from an inveterate performer with an amazing band behind him. LOVE STINKS: Peter Wolf (pictured), former J. Geils frontman, opens for the Steve Miller Band on Aug. 14 at the Vina Robles Amphitheatre. This should be a great concert by two of the rock world’s most charismatic old-school frontmen. 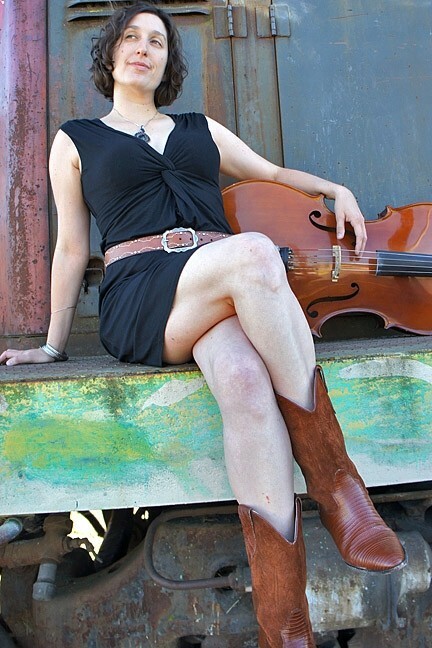 CELLO CHICK: Dirty Cello, fronted by Rebecca Roudman (pictured), brings their bluegrass sounds to Lazy Arrow Adventures on Aug. 11. Polish your dance shoes because it’s time for Hot Summer Soul III this Saturday, Aug. 13 (6 p.m.; all ages; $20 presale at brownpapertickets.com/event/2543713 or $25 at the door), at Castoro Cellars. The evening starts with the Bobby Santa Cruz Band featuring Jill Knight followed by the Irene Cathaway Band with guitar virtuoso Dorian Michael, and finally Burning James and the Funky Flames will anchor the party with their high-octane dance music. It’s gonna be a barnburner! SLO Brew presents an evening with Tommy Guerrero on Wednesday, Aug. 17 (9 p.m.; 18-and-older; $10 GA or $20 VIP balcony at ticketweb.com). Guerrero, born in San Francisco, joined the Powell Peralta skate company in 1984, becoming one of the original members of the legendary Bones Brigade team, but he’s been playing music for even longer, starting in the late ’70s with his brother Tony—“both raised on a steady diet of DIY punk music/ethos and skateboarding, which informed and shaped the person he is today,” according to his bio. Vinyl’s back with a vengeance. They’re selling it in Barnes & Noble for heck’s sake. You can get your hands on the good stuff this Saturday, Aug. 13, when the SLO Record Swap returns to the SLO Grange Hall (11 a.m. to 3 p.m.; all ages; $1 entry fee). Buy, sell, trade! There’s a beer garden for those of age. Food on site! DJs will be spinning. Want to rent booth space? Email slorecordswap@gmail.com. Many thanks to the sponsors! Grange Hall, KCBX Public Radio, Libertine Brewing Co., Central Coast Brewing Co., and the primary sponsor, the mighty Boo Boo Records. Vinyl lovers unite! The eighth annual New Times Music Awards is accepting entries through Monday, Aug. 22. You can enter the songwriters’ contest, submit songs in the various genre categories, or submit an album for the Album of the Year contest. Our panel of judges will decide the winners, who will be invited to play the awards show on Friday, Nov. 11, in the Fremont Theatre. Enter online here. And good luck! Keep up with Glen Starkey via twitter at twitter.com/glenstarkey, friend him at facebook.com/glenstarkey, or contact him at gstarkey@newtimesslo.com.